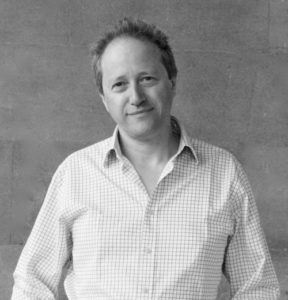 John Pickard is among today’s most accomplished and performed 21st Century British composers. He was born in Burnley, Lancashire, England in 1963 and at an early age decided to become a composer. He studied music and composition at the University of Wales, with the Welsh composer William Mathias, and later in The Netherlands with Louis Andriessen and in 1989 was awarded a PhD in composition from the University of Wales. Since 1993 he has taught at the University of Bristol, where he is Professor of Composition and Applied Musicology and was Head of Music for four years (2009–13). John Pickard is also conductor of the University of Bristol Symphony Orchestra and Choral Society. Pickard’s compositions include orchestral and instrumental works, among them five symphonies and a number of symphonic works, including concertos for piano and for trombone as well as many chamber works; most notably his five string quartets. In addition to his compositional activities, John Pickard recently served as general editor of the Elgar Complete Edition. He writes extensively on music and composers and here he discusses his own background as a composer as well as his admiration for the music of Sir Arnold Bax. Richard Adams: I understand you started composing at an early age so your interest in serious concert music must have started when you were very young. How did you become interested in classical music and who were your early influences? John Pickard: My parents were not musicians, but they liked classical music, so it was always around. The most important aspect of my early development as a musician was the discovery of the remarkably good local music library in the otherwise rather unremarkable town where I grew up (Burnley in Lancashire). The Burnley library had originally been endowed by Carnegie, so it had, for example, the Carnegie Collection of British Music scores. There had also been significant musical investment thanks to a bequest from a local brewery owner, Edward Stocks Massey, who died in 1909, so the music library was very well stocked – especially with British music of the early 20th century. There was even a specialist Music Librarian called Walter Proctor, who, in a very gentle and unobtrusive way, encouraged my explorations of the scores and recordings. When my curiosity began to outgrow the holdings of the town library, he would order me just about anything I wanted on inter-library loan. I owe Mr. Proctor a huge debt of gratitude. RA: At what age did you realize you wanted to become a composer? JP: 11 years old. It was the first time I heard Mahler and it completely changed my world. RA: You studied with the great Welsh composer William Mathias while reading for your Bachelor of Music degree at the University of Wales, Bangor. What sort of influence did he have on you as a composer and what can you tell us about him personally? JP: In retrospect, I suppose his teaching was quite hands-off. He never tried to influence my direction. Instead he encouraged me and, above all, treated me like a fellow-professional. This was apparent from the first time we met. I went to Bangor for what turned out to be an interview. Nobody said it was an interview though! Instead we sat and talked for the whole afternoon, while he chain-smoked gigantic Havana cigars. Then he gave me a lift in his orange Mercedes to the railway station. I had never met a professional composer before then and I wondered whether that was what all composers did! Ultimately though, the main influence was really about inculcating a sense of professionalism: delivering what is required, on time and in a state that performers can immediately make sense of. It’s amazing how many gifted composers simply don’t have those abilities. RA: Since 1993, you have been a Professor of Composition and Applied Musicology at the University of Bristol where you regularly conduct the University Symphony Orchestra in music of your own as well as other composers. Do you enjoy conducting and if so, why don’t you conduct more of your own music on disc? JP: I do enjoy conducting students. I consider it to be an extension of my teaching and there is also a feedback into my own work because it puts me in direct touch with the raw process of making music. The point about working with students compared to professionals is that you start from a much lower baseline and the music really has to be learned from scratch, so you become aware of problems and details that are nowhere near as evident when you work with professionals who can simply play most things at sight. I am a pretty good conductor in the sense that I know what I am doing technically, have a clear sense of what I want from the music and have a good ear so I usually know how to fix problems. But I also know my limitations. I am certainly no professional and I am lucky to have had people who are far better conductors than me who have championed my work. I haven’t actually conducted all that many of my own pieces and, for the most part, would rather conduct music by my students, who are the ones who really need that initial public exposure. RA: Do you find having a life in academia stimulates your own compositional processes? Does it ever get in the way? JP: Yes to both questions! The job sometimes offers opportunities to write new works that might not otherwise come up. But it is also true that it gets in the way. I find it almost impossible to write during term. It’s not so much about the time (though that is very pressed) but about head-space. It is hard to concentrate on musical creation when one has demands and deadlines for all sorts of other things. Mathias used to spend a day in the music department then start writing in the evening, working until 3 or 4 in the morning. And he did this every day! I don’t know how he did it (or maybe I do: he was only 57 when he died – I am now 54 and I am hoping to live for as long as I can!). But it is also true that academic life is infinitely more demanding and difficult than it was 40 years ago. RA: You have conducted two of Bax’s symphonies (the First and Fifth) with your university’s student orchestra. That would indicate you have more than just a passing interest in Bax’s music. When did you first become interested in Bax? JP: I got to know Bax’s music when I was about 12 or 13. I borrowed the 5th Symphony score and LP from the town library simply because they were there and went on from there. I still remember the excitement of hearing the coda of that symphony that first time. I then got to know the others in a short space of time, though the 4th took longer to track down as the only recording available at the time was the old Guildford Philharmonic one. RA: Do you recall any particular Bax recordings or concert performances that attracted you to his music or have made a lasting impression? JP: Those Lyrita recording, which were the ones I first heard, were very exciting – especially the Fredman 1 and 2, despite the incredibly out of tune organ at the end of No.2 – which I have always thought somehow weirdly enhances its catastrophic, nihilistic atmosphere! Of course, 1983, the centenary year, was great for hearing broadcasts of newly uncovered works. There seemed to be a never-ending stream of them. RA: Your former teacher William Mathias was awarded the Sir Arnold Bax Medal by Harriet Cohen. Do you recall having any discussion about Bax with Mathias and do you know what his opinion was of Bax’s music? JP: I actually gave a lecture on Bax as a postgraduate student and Will attended, so we did talk about him a bit. I suspect the music was a bit too romantic for his taste – Will was a classicist at heart, preferring clean lines and uncluttered textures – but the area that I think genuinely interested him was the around the formation of Celtic cultural identity, which was very much in his thoughts at the time I got to know him in the early 1980s. The most apparent manifestation of this is in his 2nd Symphony, which he called ‘Summer Music’, a reference to the ‘summer region’ which is nowadays called Somerset, with its Arthurian associations (and coincidentally the part of the world in which I now live!). Of course, being Welsh, Mathias had a far more genuine claim to Celtic identity than Bax did. Nevertheless, I think that aspect of Bax did intrigue him. RA: It is my impression that your music shares with the music of Bax and Mathias moments of brightly-jeweled orchestral color and textures. I’ve heard those colors described before as “Celtic” and it’s an attractive feature in your own music. Do you hear any influences of Bax or Mathias in your own music? JP: Bax, not so much, though I do have a strong feeling for harmony, which I also find in his work, and there is a certain complexity to his orchestration which maybe has echoes in my work. But I am not a ‘brazen romantic’ like him. In fact, the fundamental thing that I don’t identify with is Bax’s sense of nostalgia. He’s always yearning for something that has passed. I don’t think I have a nostalgic bone in my body and my interest is always with what is coming, not what has passed. I think that Mathias was always looking to the future too, even if his music didn’t really develop much technically over his career. There again, Mathias’s position was basically an optimistic one, springing, at least in part, from his religious faith. I am neither religious, nor an optimist – so I find myself looking forward with trepidation! RA: As I mentioned before, you’ve been conducting some of Bax’s symphonies. What is your opinion of Bax as a symphonist and how do you account for the neglect of his seven symphonies? JP: To answer the second question first, I would say that what hobbled Bax (and many others like him) was the delayed advent of modernism in Britain. When Bax got started as a symphonist he was already 20 years out of date in terms of what was happening in Europe. He may have seemed modern in Britain but music elsewhere had already moved on. By the 1960s, led by Glock at the BBC, there was a consciously planned project to force European modernism onto the British cultural agenda, with results that were both exhilarating and catastrophic. We are still living with the consequences of that campaign in terms of a profound lack of confidence in our native musical tradition. As for my own opinion of Bax’s symphonies, I think they all have wonderful things in them, but there are weaknesses too. A particular bugbear of mine is a tendency to put rather trivial material into the fast sections which sometimes seem to be going through the motions in order to fulfill the need for contrasting speeds within the symphonic structure. I don’t think that fast music is really Bax’s forte. At his best though, there is a fearlessness and an imaginative sweep that few composers of the period can match. I don’t agree with Tod Handley’s claims that Bax’s symphonies are deeply organic in their processes; for me, they may be unified, but the unity is synthetic, not organic, by which I mean that they synthesise contrasting ideas into new ones, rather than generating new material from a single core. This is not a value-judgement, but a comment about process. In this sense, I find a parallel between Bax’s symphonies and those of Maxwell Davies. There are other parallels too: the identification between symphony writing and living a hermit-like existence north of the border, the comparison of both with Sibelius (in my opinion, false in both cases) and – a prediction for the future of Max’s symphonies – a long period of neglect followed by a modest reappraisal. I do feel that there is a much stronger case to be made for Bax’s symphonies as a coherent cycle than there is for Max, or indeed almost any other composer apart from Vaughan Williams. The idea of the seven Bax symphonies as a single ‘meta-symphony’ is quite a compelling one. RA: Do you have a favorite among the seven? JP: Symphony No.2, which I think is a masterpiece. RA: What has been the response from your students who have played these or other Bax scores? JP: Great enthusiasm! They love it. It’s colourful and direct, with big emotions that are openly displayed and easy to identify with. The music makes players sound good too, so the effort involved in getting it right feels justified. For many young musicians now, a significant part of their early exposure to orchestral music is through films. A lot of them think that Bax sounds like film music, which to purists like me grates a bit, but I have to remind myself that, for them, this is a positive thing! One myth that needs busting is that Bax is especially difficult to play. At one level, of course it is difficult to play – so is Tchaikovsky! – but I have read comments that the music is somehow peculiarly elusive for performers to grasp and that this puts it out of reach of many players. In my experience, this is simply not true. Indeed, I would say that a composer like Elgar is far more difficult for young players to grasp because the emotions are often so repressed in Elgar. Technically, Bax is hard, but no harder than many other composers. One peculiar challenge can be the enharmonic tangles he gets into at times (writing flats where sharps would be easier to read etc). There is one bit towards the end of the 5th Symphony where the string parts become a riot of C-flats, F-flats and double-flats, which student performers really struggle with, especially string players. The first couple of times we played it sounded like Penderecki until I rewrote those bars, respelling the notes … and instantly the problem went away! RA: You are the General Editor of the complete Elgar Edition, which I imagine is a huge task. What does that involve? JP: I did the role for 12 years between 2005 and 2017 before passing the baton on to the wonderfully talented Iain Farrington. The role involved coordinating the various editors of the different volumes and ensuring that as far as possible everyone was working to the same editorial standards. Since all the volumes under my editorship were newly typeset, we also had to try to ensure that we did not introduce new errors – which inevitably we occasionally did. When you consider the millions of notes and associated symbols that make up a big score, the odd error is bound to slip through the net, but it is a painful experience to find one (or, worse, to be told of one!) after the volume has been issued. The person who has done the most to make the Edition a success has been its General Manager, John Norris. Without his vision and dedication, it would have fallen through. As it is, the Edition is now well on the road to completion. I worked with a number of excellent editors on various volumes, but it was a particular pleasure to be able to work with the distinguished Baxian David Lloyd-Jones on two of them. As well as rigorous scholarship, I feel that David brought a conductor’s experience to the volumes he edited, which made them very special. RA: I believe one of the reasons Bax so rarely appears on concert programs is because so much of his music is out-of-print or available only in hand-written editions that are difficult to read and loaded with mistakes. His publisher appears to have little interest in promoting his music because it generates little income for them. Under these current circumstances, could you ever imagine a Complete Bax Edition being undertaken and if so, what would be the process for that to happen? JP: It can be done, but it would require money to sponsor each volume (the print run costs a fortune and then you have the problem of storage of everything that doesn’t immediately get sold) and the sustained energy and determination of a group of enthusiasts who have the knowledge, skills and the time to do it. I think it would be an uphill struggle though. The case for Elgar as a great composer of international stature is surely won; not so with Bax I fear. There is also so much music by Bax that a complete edition would surely be a long time coming. An alternative model is the amazing work that has been done by Alastair Hinton and his team on the works of Sorabji, many of whose scores can be purchased in wonderful new editions, either online or as print-on-demand. Perhaps best to just start with the symphonies? These really need attention, because the parts are indeed riddled with errors. But, failing the emergence of brand new editions, just having somebody going through the scores and parts correcting all the mistakes would be a great help. RA: What do you consider Bax’s greatest accomplishment as a composer as well as his greatest failing? JP: Viewed from the perspective of 2018, I think Bax’s greatest accomplishment is his ability to adopt multiple musical personae and yet still remain true to himself. Sometimes he’s Russian, sometimes he’s Irish or Scots or Nordic or French. Sometimes he’s even English! But he always sounds unmistakably like himself. This seems to me an extraordinary accomplishment that goes beyond mere posturing and dissembling. It also speaks to the culturally diverse times in which we now live and offers an example of how you can embrace artistic variety while maintaining integrity. Another great accomplishment that is perhaps a little overlooked is his gift as a melodist. Is there a better melody in British music than the lyrical tune in Tintagel? Or the one in The Garden of Fand? And what about the ones in the slow movements of Symphonies 2 and 5?. These melodies have extraordinary flexibility and unfold in a way that is inevitable and yet never predictable or clichéd. There is a plasticity and subtlety to Bax’s melodies that seem quite unique to me and which seem to put him in a different league from either Elgar or Vaughan Williams (and I yield to no one in my love of those two composers). There. I have said it: I think that Bax is in many ways a greater melodist than Elgar or Vaughan Williams! His greatest failing? From a symphonic point of view, I would say his love of reverie. It goes back to what I said about nostalgia. It’s difficult to create new things if you feel that the best is always behind you. And I do feel that this sensibility gets into the musical structures themselves. The symphonies often pause for long periods of reflection when what is really needed is forward momentum rather than enjoying the scenery. And when he does write fast music, it tends to jog on the spot rather than really travel. The lack of forward momentum is less of a problem in the tone poems, where an external narrative perhaps inclines him to keep on the straight and narrow! I am conscious that some of my comments may seem rather critical. I hope they are not felt to be dismissive. If Bax was a minor figure there would be no need to make them, but since he is a figure of some importance he surely deserves critical scrutiny. RA: Where would you rank him among his British contemporaries from the first half of the 20th Century? JP: I think that the vision is not as far-reaching or widely encompassing as that of Elgar and Vaughan Williams – or, in a more idiosyncratic way, Brian. But otherwise, compared to other British composers of that period, there is no one else to touch him, unless we count the young Walton as belonging to the first half of the 20th century – and, considering that most of his best music was written before 1950, I suppose we should. RA: Your Fifth Symphony was just issued on CD by BIS conducted by Martyn Brabbins. It’s an intensely moving and powerful score that has very rightly been receiving rave reviews. Do you see yourself as a symphonist first and foremost and are you finding there is still a lot to explore in that particular form? Your Fifth Symphony would certainly indicate there is. JP: I do feel that symphonic thinking is basic to my music, but I don’t believe that the symphony is actually a form at all; there are innumerable different forms that symphonies can and do take. Symphonic thinking is not a mould into which you pour music; it is about process, a way of thinking about how music unfolds. In this sense, the majority of my music is symphonic even when it is not explicitly called a Symphony. RA: Are you able to share any of your forthcoming compositional plans? What are you working on now? JP: I have just finished a new piece for brass band called Rain, Steam and Speed, which gets its first performances during 2018. I am now starting a piece for the BBC Singers which they will perform later in the year. I am working with a poet on that. RA: Do you have plans for any more Bax performances this next year? JP: Not immediately. We only do a few concerts a year and it is important to give the students a varied diet of established masterpieces, new music and less familiar repertoire. But when the time is right, certainly! I really would love to do Symphony No.2 and I am sure the players would respond to it positively.